We have space for a banner ad on our homepage. The banner ad is at the bottom. 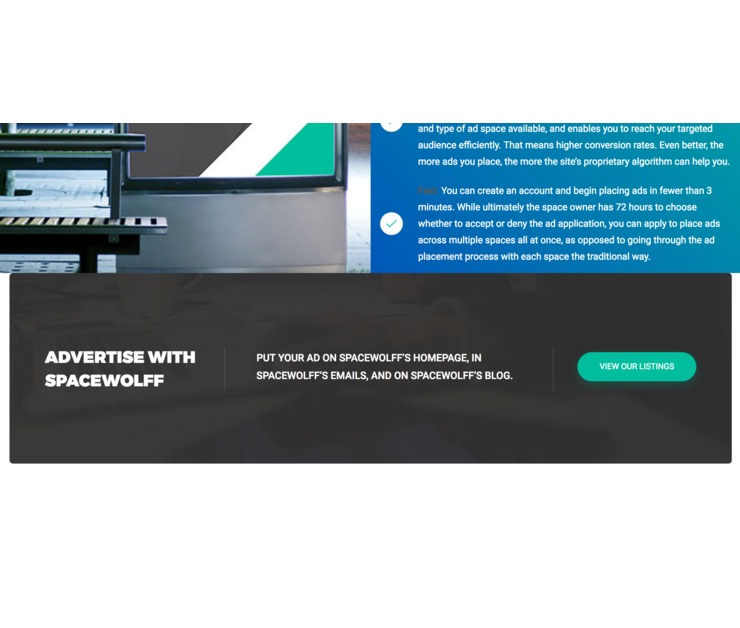 Spacewolff is an online marketplace connecting advertisers and owners of ad space. 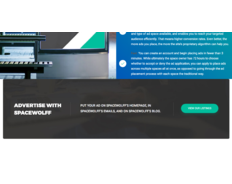 Small and large businesses, individuals, publishers, and content creators come to our website to advertise and sell space. Our users frequently engage with the site.